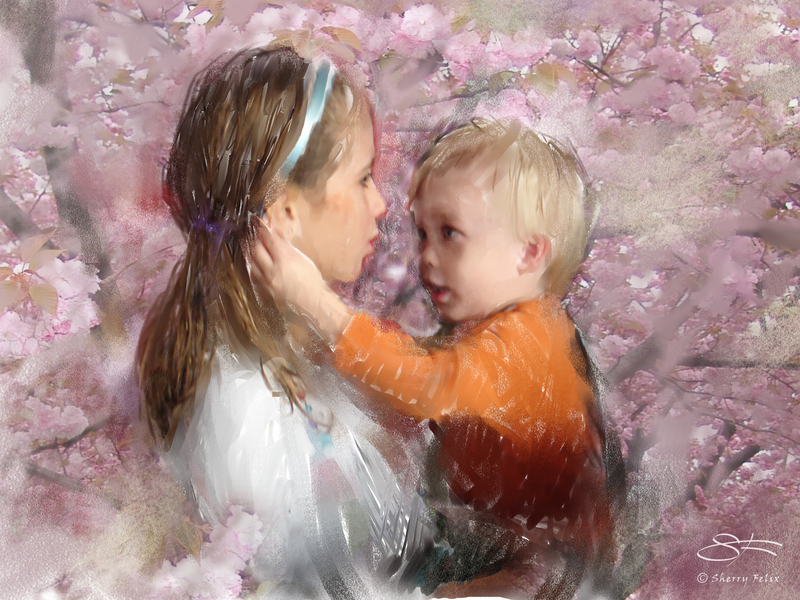 I created these two digital art images in Corel Painter using a photo of a sweet moment between my niece and nephew in Sydney, Australia in 2008, over photos taken in the New York Botanical Garden, Bronx, NY. Chihuly and his team make marvelous glass. Below is a slideshow of photos I took of Chihuly’s installation at the New York Botanical Garden in September 2006. Please excuse the distracting transitions. absolutely beautiful and lovely video too! Great photos, Sherry, and a fun background with the Chihuly. I enjoyed the slide show too, because oh, how I love Chihuly exhibits. Colorful post with sweetness, too. Thank you. I love how Chihuly’s natural shapes blend with nature.